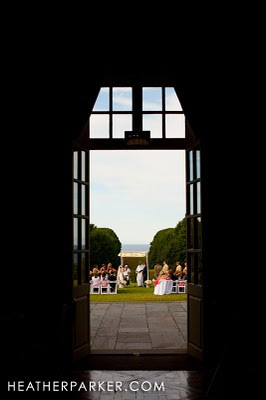 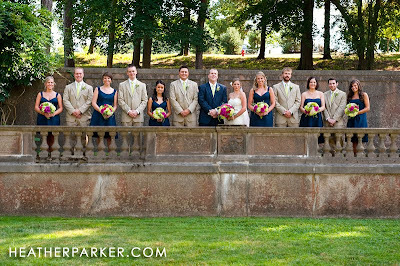 The weather was absolutely perfect for a seaside wedding. 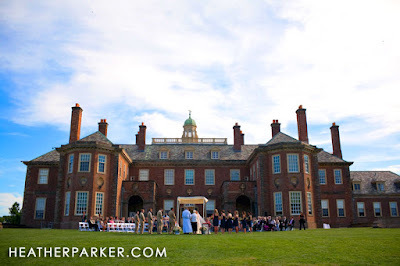 And you couldn't find a more lovely spot than the back lawn of the Crane Estate in Ipswich to be married on a clear, sunlit day. 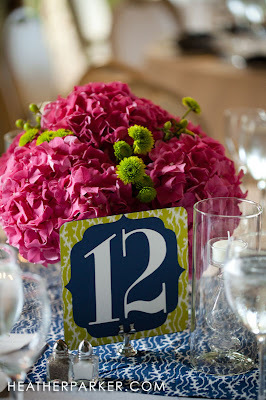 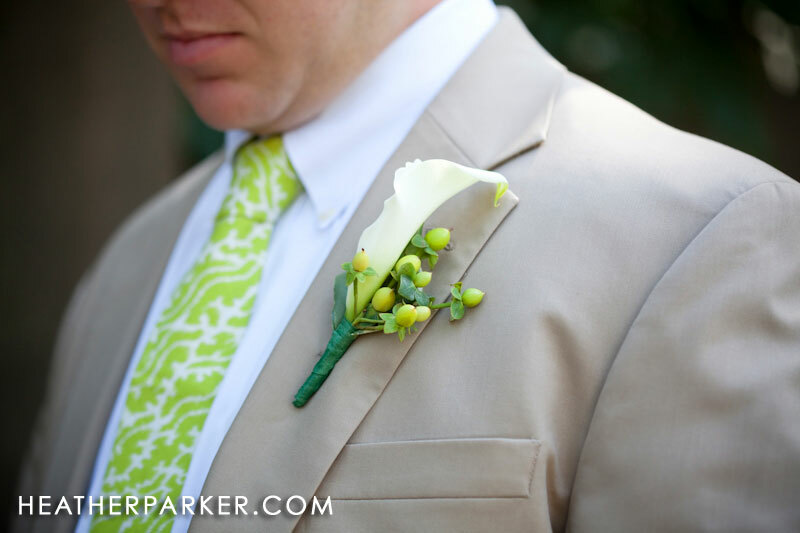 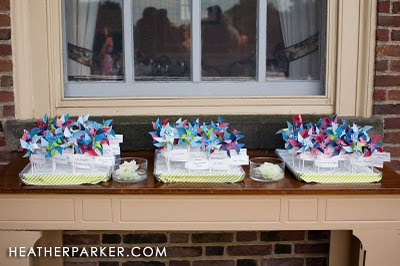 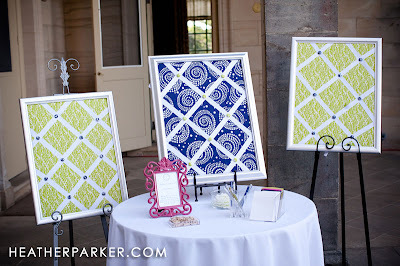 The bride and groom's navy, hot pink and lime green color scheme added a whimsical yet elegant feel to the setting. 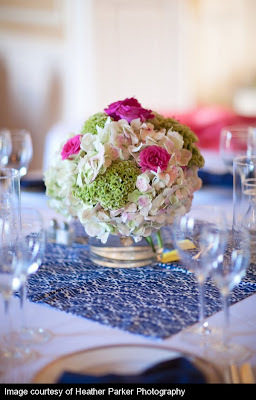 And all the personal touches and hard work that was put into every last detail made for a simply inspired wedding. There were pinwheel placecards, colorful fabric table overlays, a cookie buffet complete with custom labeled jars, fun fabric message boards, a beautiful handmade chuppah banner....and it was all georgous. 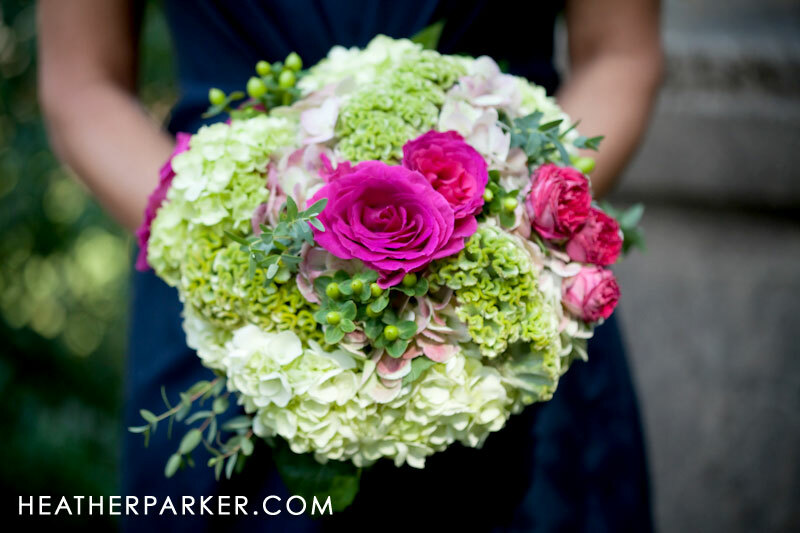 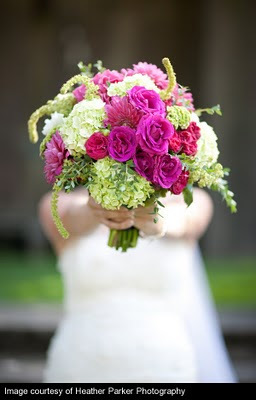 To compliment all that, we used lime green and hot pink flowers- lots of hydrangea, with some garden roses, spray roses, amaranthus celiosa and hypericum berries for added texture and depth.